Most people love the idea of getting their favorite dishes from their most beloved restaurants delivered directly to their homes. 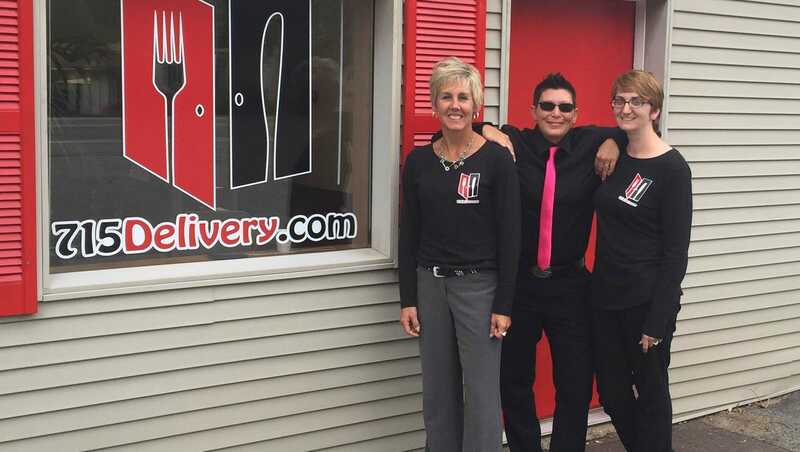 By coordinating and carrying out deliveries of food made by various select restaurants, 715Delivery.com makes that possible for people in Wisconsin. In order to help you learn more about this great service, this guide will go over the most important aspects of 715 Delivery. 715 Delivery is an affordable and convenient food delivery service. Simply put, the company coordinates and carries out deliveries of food items produced by selected restaurants. This delivery can consist of individual meals, family meals or corporate drop-off catering orders. Whether it’s lunch, dinner or food for a special occasion, 715 prides itself on providing variety, convenience, and quality. Using state-of-the-art delivery and catering equipment, 715 is able to deliver your favorite food items to your home or place of work in an efficient, speedy and professional manner. In order to do this, 715 has partnered with the best and most popular restaurants in various cities. The business relationship that is born out of this partnership is one that is convenient for both the public and the restaurants themselves. In addition to its previously discussed delivery services, 715 offers its customers the option of selecting food for take-out. After making an order for take-out, customers can simply approach their selected restaurant and pick up their order. In order to make the life of its customers easier, 715 accepts cash, 715Delivery gift cards, Visa, MasterCard, American Express, Discover, e-Gift certificates, corporate business checks and chamber cash. 715Delivery.com prides itself in making 95% of its deliveries in under an hour. However, potential customers should note that delivery times may vary according to various different factors. These factors include, among others, the size of the order, traffic conditions, the restaurant’s ability to prepare the requested food items and weather conditions. For this reason, it is advisable to place big orders with at least two hours of anticipation. However, if your order is particularly large and punctuality is an important factor, it is a good idea to place your order with as much as 24 hours of anticipation. Without a doubt, one of the biggest advantages of 715’s delivery service is the affordability of its fees. They start at only $2.99. However, the fee increases by $0.54 per extra mile that is between your location and the restaurant you chose to order from. If you have any questions regarding the fees charged for the delivery of a particular order, you may make a consultation on the company’s website. In addition to its regular delivery services, 715 offers a catering service that will help improve the quality of any event. By hiring this service, you will be able to choose from an ample variety of gourmet restaurants and scrumptious catering menus. This reliable and efficient service can be booked with a simple call or a few clicks on the company’s website. Featuring easy-cleaning setups and other advantages, 715’s catering service is perfect for various types of events, including late-night wedding receptions, graduation parties, funerals, birthday parties, housewarming parties and more. In order to provide additional advantages to its loyal clientele, 715 has set up an e-Gift certificate service. This service allows customers to purchase digital cards that can be directly exchanged for food products from 715’s partnered restaurants. Available for any amount between $10 and $250, these e-Gift certificates are the perfect gift for friends, family, and co-workers. In order to better serve its customers, 715 makes the menus of its partnered restaurants available on its website. However, it should be noted that, due to unpredictable changes, the prices shown on these menus are subject to change at any given point in time. Even though 715 makes its best effort to update these prices in real time, sometimes these updates may be delayed for technical reasons. In addition to its basic catering services, 715 offers special catering services for offices and other corporate entities. When hiring this service, you can arrange it to go on consistently for days, weeks or even months in advance. 715 offers preferred customer status to all businesses and organizations that request this service. Apart from getting reduced delivery fees, organizations that enjoy preferred customer status are eligible for 30-day term billing. After going through the advantages of 715Delivery.com, it’s easy to see why it has been turning so many heads. Quick, convenient and affordable, 715Delivery.com is truly a valuable service. Have you tried it? Let us know what you think about it in the comment section! Hey Buddy!, I found this information for you: "715 Delivery 101: Areas, Hours, Fees". Here is the website link: https://all2door.com/715-delivery/. Thank you.